Everything is more fun on a stick and that goes for Halloween treats. Even Halloween pies. The Party animal has a great tutorial for these orange jack-o-lantern pumpkin pie pops that would be a fun party favor for Halloween. 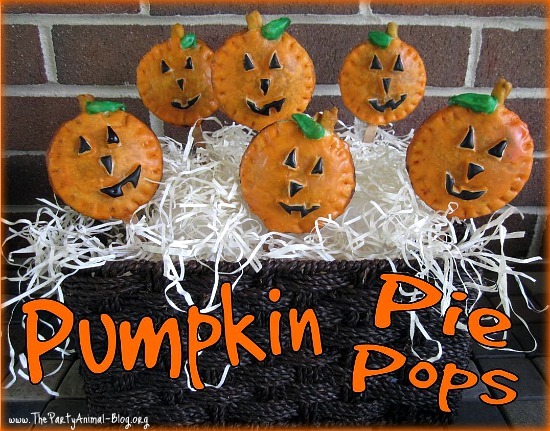 These have a face decorated on top, but if you want a traditional carved pumpkin face, Miss Make has a tutorial for jack-o-lantern pie on a stick. 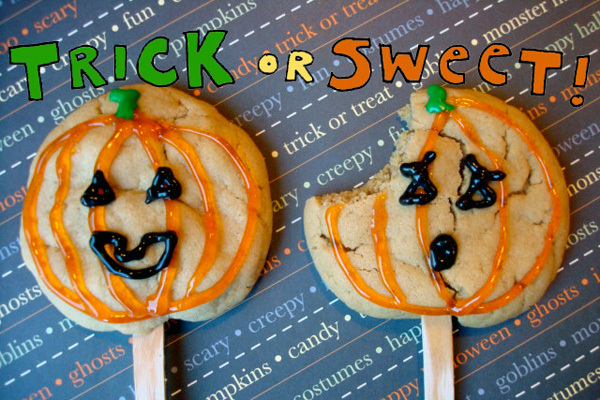 And if pie is a little more than you bargained for, you can always make pumpkin cookies on a stick too. These are actually peanut butter cookies because the recipe is from Peanut Butter & Co. These actually gave me a really cute idea, so I might have to make a batch of pie dough and try it out before Halloween. 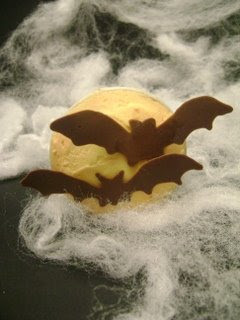 It envolves pie on a stick and the idea behind these bat cupcakes. 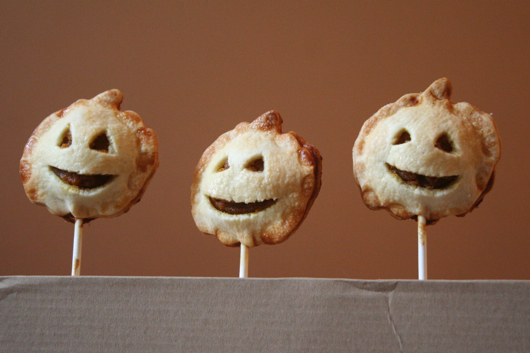 Tell me that wouldn't be a fun Halloween pie on a stick!